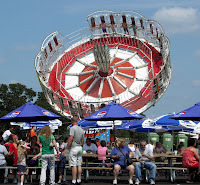 If the Lions Club Lexington Carnival isn't your thing. Here is another event in Boston that might be your fancy. Boston Harborfest is a Fourth of July Festival that showcases the colonial and maritime heritage of the cradle of the American Revolution: The Historic City of Boston. Harborfest will run July 1 through July 5, 2015. The award-winning festival strives to honor and remember the past, celebrate the present, and educate the future with reenactments, concerts, historical tours and much, much more. Over 200 Daily Events during the Festival are concentrated in Boston's historic downtown and waterfront districts. The Opening Ceremony will take place on July 1. There will be an exciting events throughout the week. Follow us on Facebookand Twitter for the most up to date information on these events. As one of the nation's largest patriotic celebrations, Boston Harborfest attracts more than 2.5 million visitors to Boston from across the country and around the globe for the week of the 4th of July. Visitors will experience the educational and entertaining programs that highlight Boston's rich colonial and maritime history. 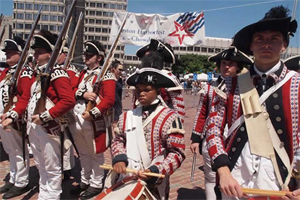 Harborfest events include Revolutionary re-enactments, walking tours, visits from U.S. naval ships, free concerts, cruises, museum exhibits, and much more for people of all ages. Many of the events are free, or are very reasonably priced. Harborfest is an annual tradition in Boston and 2015 promises to be as special as ever! Please check back as additional information will be available as events are confirmed. 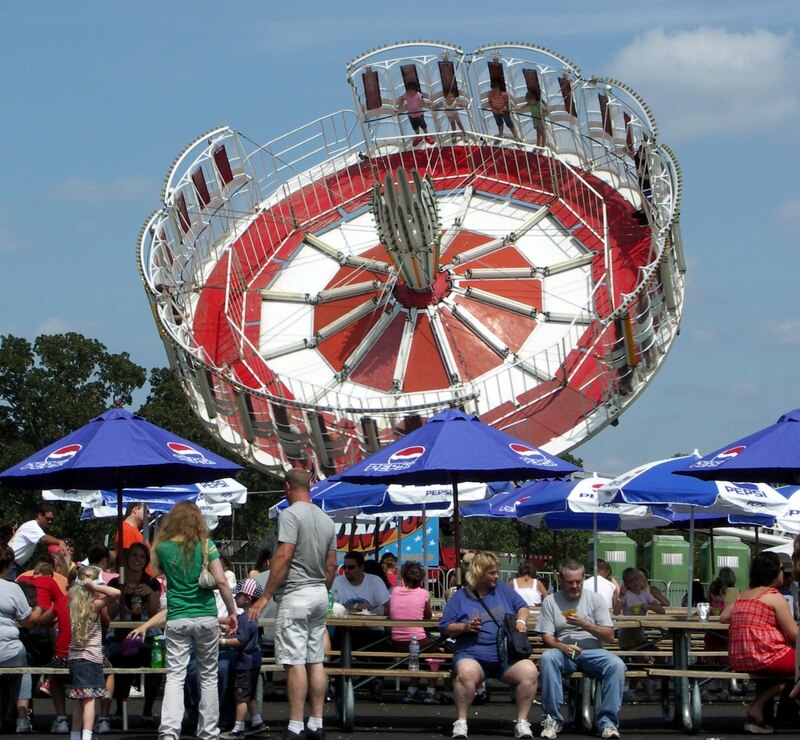 Volunteer opportunities for the carnival! As usual,the Lions will have a Food Trailer and Hospitality Tent. In addition, our Information and Safety Trailer will be manned with Lions members and Emergency Medical Technician (EMT) at all times. First-time home sellers are typically in for a bit of a shock when they receive the closing statement. Yikes! It seems like everyone in town has their fingers on part of the proceeds from the sale of the home. From taxes to insurance to real estate fees, what you think you’ll get at closing is chipped away until it’s far less than what you expected. Depending on the condition of your home, getting it in shape to put on the market may require a good chunk of money. Paint, cleaning, repairs, staging and renting a storage unit are just a few of the bills that may occur during this period. Cleaning and decluttering – 403 percent. Electrical and plumbing repairs – 294 percent. Interior paint – 107 percent. After cleaning and decluttering, painting the interior of the home is probably one of the most important prep jobs you can perform. Nothing says “clean” better than a fresh coat of paint. Stick with neutral colors to appeal to the greatest number of homebuyers. If you’ve lived in the home for some time and haven’t kept up on home maintenance chores, you may want to order a home inspection. Yes, your buyers will most likely order one, but this one is for you – so that there are no expensive surprises while the home is under contract. The price of a presale inspection of the home varies depending on region, but plan to spend at least $200. Other items you may end up spending money on to get the home in shape for the market include plants and mulch for the garden beds outside, decorative items such as throw rugs, new towels and a shower curtain, flowers, and artwork (if you aren’t hiring a stager). Expenses that occur during the listing period depend on whether or not you’re living in the home. A vacant home requires that you keep the utilities on. This means you’ll be paying for lights and heat in two homes. You may also need extra homeowners insurance during the period the home is on the market. Ask your insurance agent if your current policy covers the house while it is vacant. FSBO Expenses click to read entire article. The Lexington Bicentennial Band, under the direction of Jeffrey P. Leonard and Alfred W. Dentino, will begin its summer outdoor concert series on Tuesday June 23, 2015 at 7:15 PM. Concerts continue every Tuesday evening throughout the summer, with the final concert on Tuesday August 18, 2015. Concerts are held at the Levi Burnell Bandstand in Hastings Park, at the corner of Massachusetts Avenue and Worthen Road. Concerts are free and open to the public, and the bandstand park area is handicapped accessible. Programs include marches, show tunes, Dixieland, and classical arrangements for band. Bring a blanket or chair, and bug spray. Many people also bring picnic dinners. For more information, visit our web site at www.lexbicband.org or call 781-698-4647, after 5 p.m. on the day of the concert for cancellation information. Selling and Buying Simultaneously In Lexington, MA! If you are looking to sell your Lexington home, so that you can move up to a bigger and better home, now is the time to do it, while mortgage rates are still low! Of course, if you’re looking to downsize as empty nesters or retirees, now is also a great time to do that, with home prices and values up. As your Lexington real estate agent, I’d like to share some tips with you on how to buy and sell real estate simultaneously. You want to time everything as perfectly as you can, to prevent having to find temporary housing between selling your current house and buying your new house in Lexington. 1. Get your house ready to sell. You don’t want to list your home until it’s ready to sell. This means fixing, decluttering, deep cleaning, organizing, and neutralizing if necessary. Remove personal items and clutter, and stage the home like a model. You might want to even consider getting an inspection done, so you have time to fix anything that comes up now rather than when you’re trying to close. 2. Start searching for a home. Before you list your home, get a good feel for exactly what type of home you’re looking for. If you sell your home, you’ll want to be able to buy one quickly. Work with a Lexington real estate agent to find a home that fits your needs and budgets in the area you’d like to live in. Get preapproved, so you know exactly how much you can afford. 3. List your home. 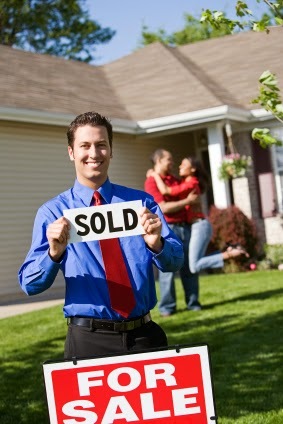 Again, work with a Lexington real estate agent to help you list your home and show it to potential buyers. The agent can also help you negotiate a price and closing terms. When you get an offer, you’ll want to push the closing date back as far as possible, to give yourself time to buy and close on a home. Interested buyers will hopefully be accommodating to your terms, but you might want to offer to pay their rent until then, or to lower the price of the home to make up for the time. 4. Make an offer. After you get an offer on your home, you’ll want to make an offer on the home you want to purchase. Structure your dates appropriately, such as making your mortgage contingency follow the date the buyer has in the contract for your home. Ideally, you’d want to close on the home you are selling in the morning, and close on the home you are buying in the afternoon. 5. Plan for worst case scenarios. If your timeline doesn’t work to your benefit, you may need to rent temporary housing and storage until you can buy a home after selling, or you may need to pay two mortgages at once if you buy before selling. While not ideal, it will work out in the long run if you prepare for worst cast scenarios in advance. Working with a Lexington real estate agent is key! 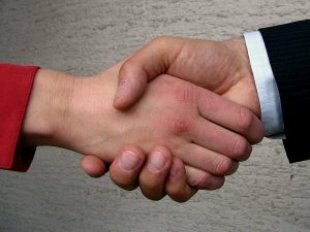 An agent can help you with timelines, negotiations and closing terms. When ready to buy a Lexington home, to sell your Lexington home, or both, give me a call! I’d love to help you this summer in the Lexington real estate market!